How to Open .daa File on Windows? 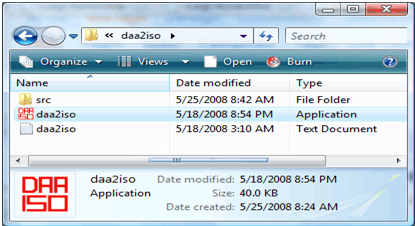 daa2iso is standalone utility which lets you to instantly convert any .daa file to iso file which can be burned on dvd or cd using ISO burner.Download daa2iso. 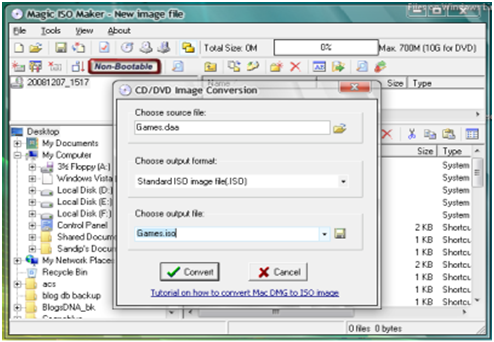 MagicISO is a powerful CD/DVD image file creating/editing/extracting tool. It can open / create / edit /extract CD/DVD image files, and it can convert .daa file to iso file.Download MagicISO. Pismo File Mount Audit Package is a Windows application that allows users to mount the contents of ZIP, ISO, Compact ISO, Compact File Set and Private Folder files to the file system as virtual folders. 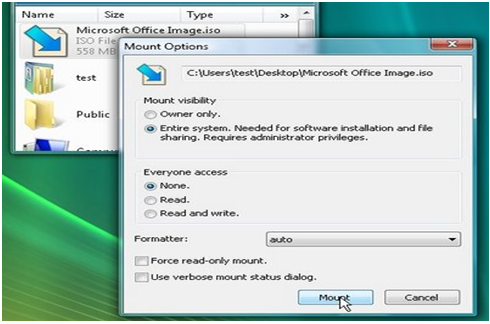 Supported Files ISO, CISO, ISZ, and DAA image formats are supported. Download Pismo File Mount Audit Package.